Grew Up… a black man in a slave state. Although Jim’s owner, Miss Watson, is not particularly cruel, she's still a product of her time and sees her slaves more as property than people. Living… on the run. After finding out Miss Watson plans to sell him, Jim decides to run away rather than be separated from his family. On his way to Illinois, a free state, Jim meets Huckleberry Finn, a 13-year-old white boy who has also run away from home. 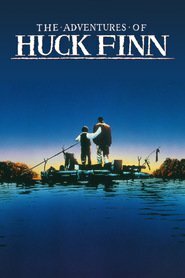 After Huck promises not to turn Jim him in, the two runaways join forces, building a raft and floating along the Mississippi River to find freedom. Profession… slave turned runaway. Huck might be street smart, but Jim's greater experience and knowledge of the outdoors make him more suited to the challenges of living in the wild. Interests… freedom, his family, and fortune-telling. Never given a proper education, Jim grew up believing in the power of superstition. As a result, he's optimistic about his future, since "ef you's got hairy arms en a hairy breas', it's a sign dat you's agwyne to be rich." Relationship Status… married. Jim's wife and children are one of the joys of his life. Once he reaches Cairo, Illinois, he hopes to earn money to buy their freedom. Challenge… evading capture long enough to reach Illinois. It's not an easy task, with slave hunters and law officials alike searching for Jim. But Jim is optimistic that he'll eventually reach Cairo. Personality… uneducated, but loyal, compassionate, and intelligent. Despite being born into slavery, Jim is not particularly bitter for it. His owners may see him as less than human, but that doesn't stop Jim from treating all men with kindness and respect. In the absence of his family, Jim becomes particularly fond of young Huck, calling him "de bes' fren' Jim's ever had." For Huck, Jim is willing to do anything – and despite his initial prejudices, it's clear that Huck feels the same way. Jim's popularity ranking on CharacTour is #4758 out of 5,000+ characters. See our top-ranked characters and read their profiles.